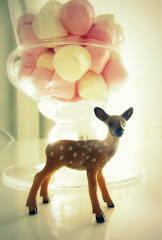 The Pink and Pretty Blog: Yellow - I think I dig you right now! 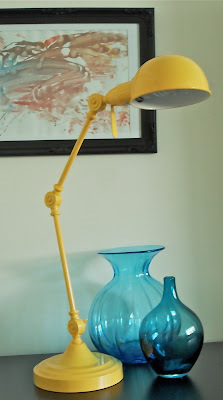 I have been wanting to inject a little yellow into my home for a while now. The latest Target catalogue arrived in my letter box a few days ago and was advertising an industrial style lamp....in yellow. I decided to head off to Target to purchase the yellow lamp (thanks Dad for the Target gift voucher). I have decided to put my new lamp in our tv room (I will probably change my mind in a few days...I do that). 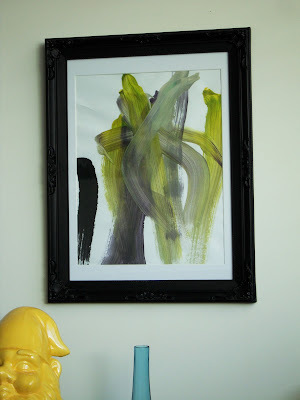 I have not done yellow in my house before but I am liking the fun burst of colour and energy. The tv room was looking a bit dark. Dark and gloomy no more. Hello yellow! You will probably notice that I love gnomes and you will more than likely notice a few random gnomes throughout my posts. I received this little guy from hubby and daughter for Christmas. The gnome (named "Patrick") is from Freedom. The cute pictures in the background are painted by my little three year old daughter. I picked up the black baroque picture frames from Big W. I am pretty sure that they are still in stock. What fun colours do you have in your house?